Jyoti is a now member of our Probate Team. She joined us from our Family Department where she was a very experienced family solicitor and an accredited specialist with Resolution and also a trained mediator. She is now using these people skills to develop our Private Client Department. 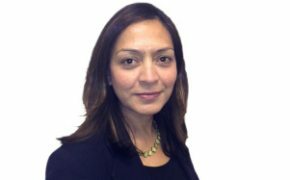 Jyoti deals with all areas for Private Clients including Wills, the Administration of Estates, Lasting Powers of Attorney and deals with applications to the Court of Protection for the appointment of Deputies. She is happy to attend on home and hospital visits to the elderly and infirm and deals with the general financial affairs of the firm’s elderly clients. Jyoti is fluent in Gujarati and happily takes on clients for whom Gujarati is their first language. Jyoti is a Trustee of Peshkar an organisation that inspires the lives of young people through the arts. In her spare time she enjoys walking, going to the theatre and reading. Jyoti is proud to be a Career Ready mentor to Oldham College students as they hone their employment skills and prepare for working life.